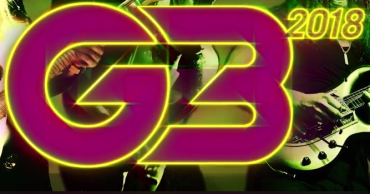 G3 is a ‘Special Event’ live music event/concert tour featuring three ‘select’ guitarists of the generation each performing with their own bands culminating with the 3 G’s jamming together at the end of the show; hence its name. It was created for guitarist Joe Satriani in 1996 and, although often imitated, was the 1st tour of its kind. Since its inception G3 has featured many of the top guitarists of the time including: Steve Vai, Eric Johnson, Kenny Wayne Shepherd, Ynqwie Malmsteen, John Petrucci, Robert Fripp, Paul Gilbert, Uli Jon Roth, Michael Schenker, Adrian Legg, with many other special guests sitting-in on a show-by-show basis (Neal Schon, Andy Timmons, Gary Hoey, George Lynch, Brian May, Chris Duarte, etc.). G3 2012 INVADES AUSTRALIA AND NEW ZEALAND THIS SPRING!